I like the idea of combining several related software tools under a common name. "xnsoft" is a good name, but the domain "xnsoft.com" is taken at the moment. Looks like a different top level domain has to be used. Even in a family each person has a name, so it's not about giving up a brand or a name. 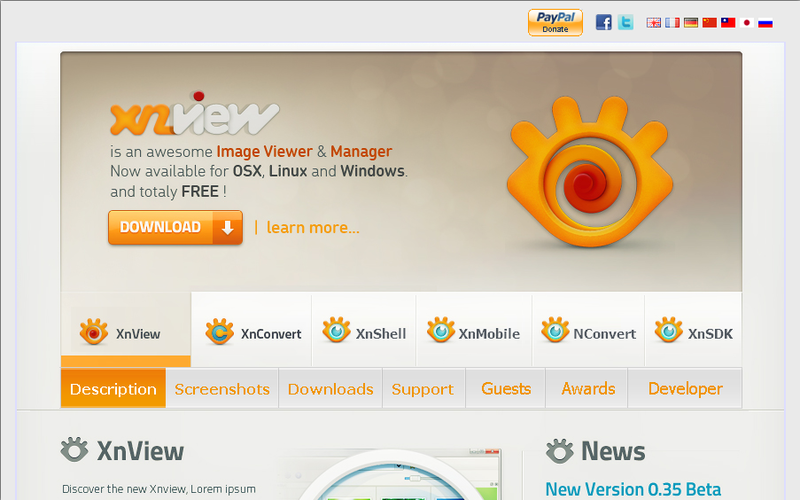 "XnView" will persist and so will "XnConvert". But these tools will no longer be cluttered on individual pages but be hosted under a common name "xnsoft.com". I'm not a SEO expert, but sure enough the high page rank of "xnview.com" must be considered and must not be endangered. Perhaps people with profound web knowledge can help here and decide how to introduce a "family domain" best. Ok the 'xnview.com' has understandable value could be looked at as being needed to be preserved. -the still existing Xnview Win, Mac, Linux old and non-MP releases. Yuk (out with the old, in with the new). -of course for the existing XnConvert. A redirection from 'xnconvert.com' to this newly proposed domain would have to occur. The main 'xnview.com' would be the main 'front' website consisting of all the list of apps, maybe not as large icons as I originally described but maybe all listed within a tab e.g under a Products tab instead. XnShell and XnMobile, of course, would have their own designed icons the above is just for mock-up purposes. Current (Thibaud's) XnSDK logo icon is just fine. NConvert doesn't really need an icon (command line app with no GUI) but could still get it's own design icon for website/marketing purposes. Last edited by budz45 on Fri May 27, 2011 8:54 pm, edited 2 times in total. Hmm, I think each type of software should have a tab. From my point of view, XnView on PC, Mac, or mobile computers is just one type of software (a software for browsing and viewing graphic images) and therefore should have one naming ("XnView MP", "XnView Mobile", ...) and one tab, only. We must all thank Thibuad for his design efforts for the release of the new XnView.com website.